Greg Gagne begins with the Utah avalanche forecast. Park City Parking and Fleet Administrative Supervisor Kenzie Coulson, along with Julie Dixon, parking consultant, have an update on the implementation of paid parking. Park City Council Member Nann Worel and Mayor Andy Beerman recap last night's meeting. Finally, US Ski & Snowboard spokesman Tom Kelly provides an update on women's slalom, women’s aerials and women's snowboard cross at the Winter Olympics. 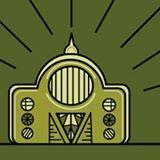 On today’s program, Charlie Sturgis has this week’s Trails Report. Park City Parking Consultant with Dixon Resources Julie Dixon and Park City Parking and Fleet Manager Kenzie Coulson have an update on the parking management plan now underway and discussed at yesterday’s Park City council meeting. Park City Council member Becca Gerber has a recap about last night's meeting and SCPW Director Erin Bragg and Park City Environmental Sustainability Project Manager Celia Peterson have details on Climate Week that starts on Sunday. There's a new world coming, in terms of parking in town. 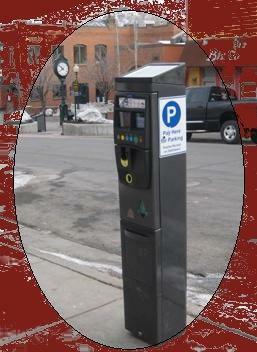 Park City Municipal plans to roll out the new parking program later this summer. City representatives are meeting with stakeholders and their vendor is in town, preparing to launch the new hardware and software it will take. Rick Brough has more. On today’s program, Park City Planning Commissioner Steve Joyce discusses Wednesday's meeting. Dixon Resources Unlimited Principal Julie Dixon and Park City Parking and Fleet Manager, Kinzie Coulson talk about the $2.6 million dollar Parking Management Solution, it's implementation and outreach and she follows up on yesterday’s parking meeting. Basket Weaver Stephanie Wood and Kimball Art Center Education Specialist Jocelyn Scudder talk about the upcoming visiting artist workshops and Youth Sports Report monthly update.